When the Midshipmen take the field for the 2013 Army-Navy football game, their uniforms will showcase a history as storied as the Annapolis-West Point rivalry itself. The saying was the last command of Capt. James Lawrence, commander of the frigate Chesapeake, who died of wounds from small arms fire during the War of 1812. Unfortunately, Chesapeake ended up falling to the British. But not long after Lawrence’s death, Commodore Oliver Perry would fly a flag reading “Don’t give up the ship.” This was during the Battle of Lake Eerie, in which Perry was the victor. According to a Nike release, the game helmet was inspired by the officer’s cover. If you ask us, the insignia looks a lot more like what’s on a chief or mid cover, but all right. It is white with an officer’s gold stripe. On the rear, the helmet also features a Navy jack, also known as the “Don’t Tread on Me” flag, which made some headlines recently. Below that, a series of Navy signal flags spell out BEAT ARMY. And the Marine Corps insignia jazzes up the hip of the white uniform pants. The Military Academy’s Black Knights will also sport the War of 1812 theme, paying tribute to Gen. Winfield “Fuss and Feathers” Scott, who is remembered as much for his obsession with proper uniform wear as leading the first American ground battle win during the war of 1812. 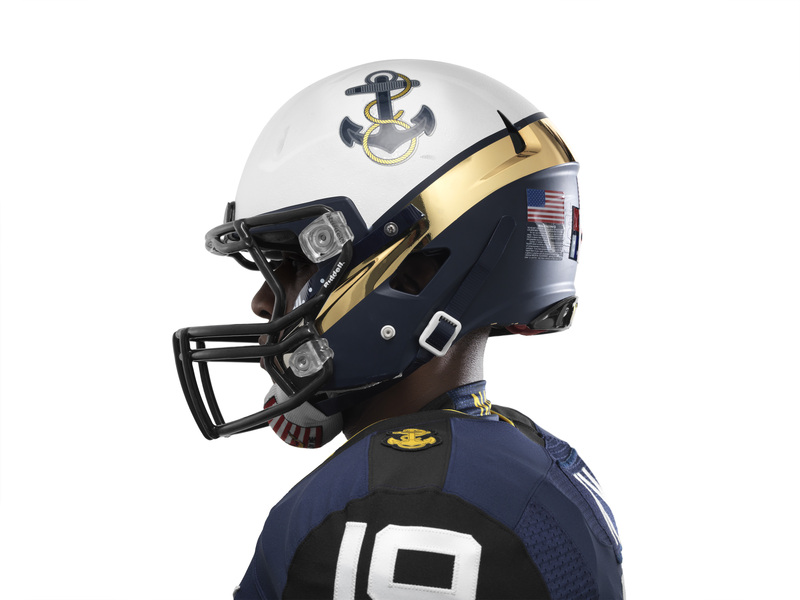 Click through below of a slideshow of both uniforms, and be sure to follow along on Scoop Deck, NavyTimes.com, Facebook and Twitter for our coverage of the 114th Army-Navy game. Please correct the spelling. It’s lake Erie not Eerie! During these times of sequester and DoD & military budget cuts the money spent on these uniforms for one game would be better spent elsewhere. Secondly, just where are these uniforms being manufactured? Taiwan? China? Singapore? It’s Nike for crying out loud. If the uniforms are not 100% American made, including the cloth & other materials, our service members should not be wearing them. Isn’t it eerie that one of the most important Naval battles, the Battle of Lake Erie, is mis-spelled? Just one of the many reasons spell check should not be relied on and maybe, just maybe, an editor should read the article. 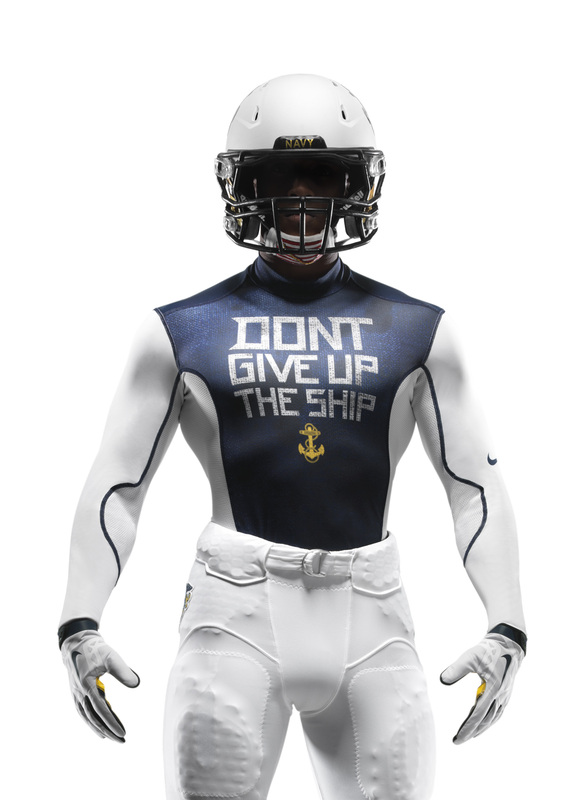 Bill – the uniforms are paid for by private funds; no costs for Navy football are paid by the tax payer. Here is more insight on the Army Uniforms! AWESOME!!! LOVE the uniforms! Great job Nike, maybe next time add the Marine blood stripe to the pants? Go NAVY beat ARMY!!! 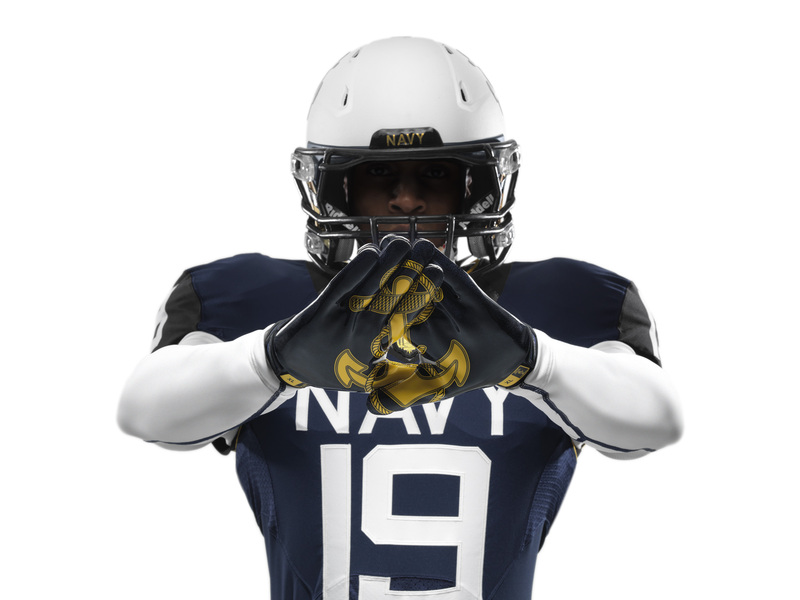 Bill, the government does not pay for Navy football uniforms. NAAA, a private organization, pays for them from football revenues and private donors. The government bears no cost for football at USNA. Only a very small portion of sports funding at USNA comes from government sources. Football is self sufficient. Does anyone know were to buy one of these helmets? Does anyone know where I can buy one of the baselayer shirts for family that were in both Army and Navy?